Risk Control Specialists regularly conduct Onsite Surveys and Inspections to minimize high liability exposures and promote workplace safety in Sheriff’s Offices. 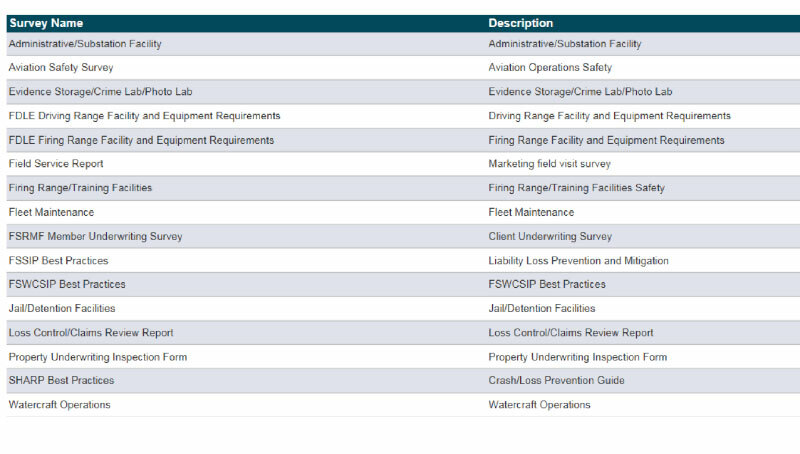 Occupational liability safety audits are performed for each agency in the many facilities agencies operate; including: substations, aviation, evidence storage, firing ranges, fleet maintenance, jails and watercraft. Sharefile is a repository for agency policies and procedures. Each agency’s policies and procedures are uploaded into a library, and member Sheriff’s Offices may access this useful tool when they are making changes and updating their current policies and procedures. Please contact loss.control@fsrmf.org for information regarding accessing Sharefile.